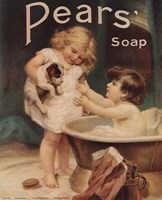 Vintage soap posters are an unique form of advertising poster and one of the most popular bathroom prints available to modern audiences. 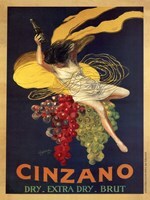 These sensitive works display a variety of subjects, from flowers to people, and have been popular since the conception of these retro advertising prints. 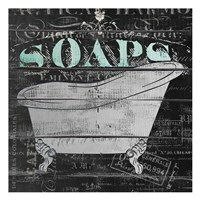 Although many modern artists have also been exploring this subject matter in their pop art illustrations many of these works are classic vintage soap posters. 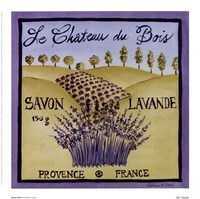 These works of bathroom art are often softly colored and are meant to portray themes of domesticity and relaxation. 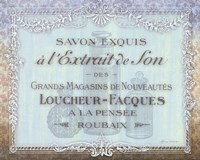 These works often show young children, dolls, or even flowers in order to establish these prints as belonging in a place that is full of family and relaxation. 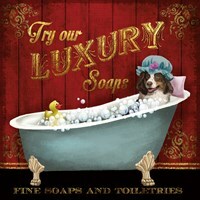 Retro advertising prints like 'Forgotten Pears' and 'Savon' are highly popular and some of these works of bathroom art are even used in other areas of the house because of their aesthetic appeal. 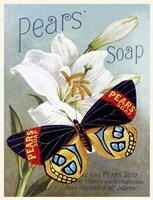 Although vintage soap posters are unique in that they don't rely on pop art conventions, there are many works that could be considered pop art illustrations. 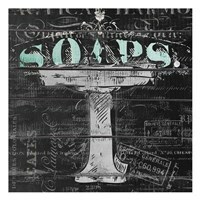 These images often feature typography as the primary component and differ slightly from other forms of vintage soap art. 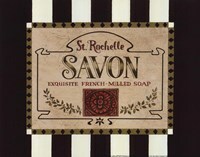 Like many retro advertising prints, vintage soap posters generally include the brand name. 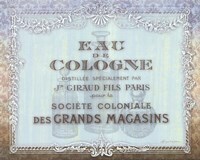 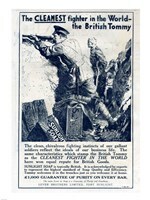 However, unlike most art prints that are found in other areas of the home, brand names on vintage soap posters are often secondary to the image. 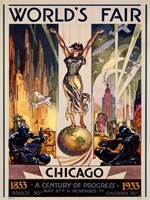 These works were primarily focused on the image being portrayed and trusted that the popularity of the images in vintage soap posters would help their product become a household name.